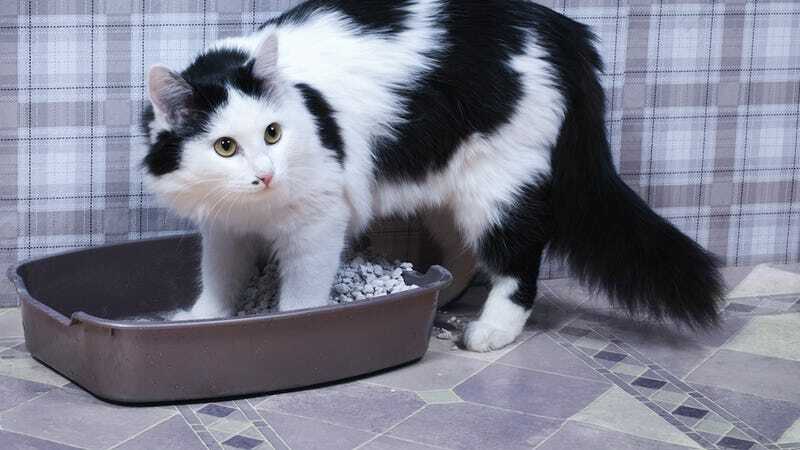 Every cat owner will testify that, if you buy the wrong kind of cat litter, it's bad news. However, the consequences of someone picking up the wrong variety at Los Alamos National Laboratory are rather more serious than trouble scooping Fluffy's poops. Like maybe a radioactive leak! Back in February, there was a radiation leak at New Mexico nuclear waste dump; 22 workers were exposed to "low levels" of radiation. They're fine, but it obviously freaked everyone out. The AP reports that investigators have traced the leak to a barrel from Los Alamos, and they're now investigating the cat litter used to absorb moisture inside the sealed containers. They recently switched to an organic variety, and "the theory is that some kind of chemical reaction occurred between waste containing nitrate salts and the new litter." Sounds like someone really thought that one through. State environment officials now say more than 500 barrels of waste from decades of nuclear bomb-making at Los Alamos were packed the same way, and they are concerned that the barrels scattered between the underground dump, Los Alamos' northern New Mexico campus and a commercial disposal site in West Texas pose a potentially "imminent and substantial" danger to public health and the environment. Even if the incident is isolated, as the Verge points out, it's shut down an expensive facility previously considered one of the best places to park nuclear waste, plus all this investigation ain't cheap. Never screw around with your preferred brand of cat litter.